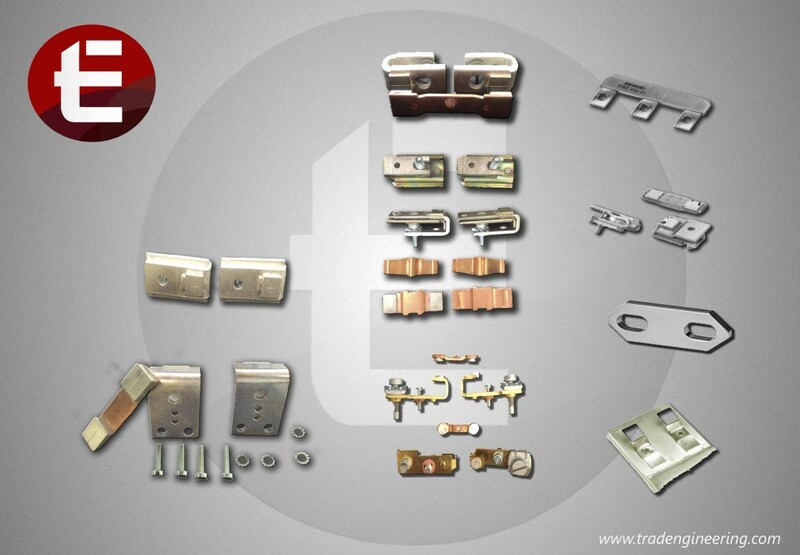 Electrical Contacts | Trade Engineering Ltd. This product ussually be found in electrical switches, brakers and relays. Contact materials are composed of superior conduction materials such as silver or gold. Cheaper metals may be used to reduse cost for the main contact bump and plated with superior metals. We have the appropriate electrical contacts for your needs. Our experience prepares us to work closely with our customers and give to them our service. The electrical contact availabe you to are compatible with the electrical contact used by the following brand names : ABB, AEG, DEMAG, GENERAL ELECTRIC, METZENAUER & JUNG, MOELLER, SIEMENS, STARKSTROMS, TELEMECANIQUE.